is commonly transferred from scenes to offenders. Search utilises a range of techniques to aid in the identification of the location of buried objects. 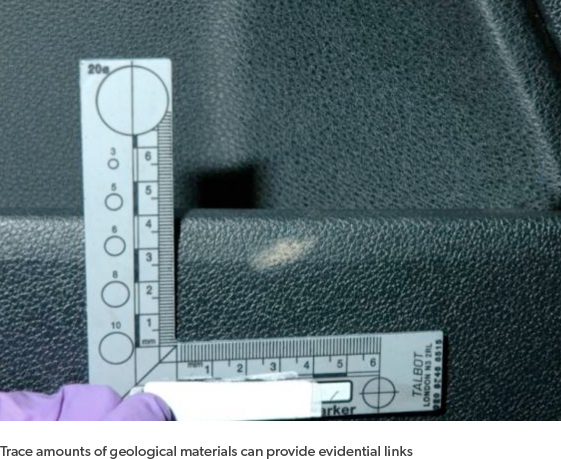 Materials analysis can enable unknown materials to be characterised and their original source determined. Geological trace evidence includes soils, sediments, dusts and less commonly rocks and man made materials constructed from geological commodities. Helford Geoscience have pioneered the use of automated mineralogy using QEMSCAN technology as a robust, operator independent and highly reproducible tool in the analysis of forensic samples in over 60 major investigations. Helford Geoscience are experienced in the recovery of trace evidence from crime scenes, vehicles, footwear and clothing and a wide range of other objects used in criminal acts. Typically investigating officers are either looking to test for an association between recovered trace evidence and a known location, or in for example missing victim murder enquiries, trying to identify unknown locations based on recovered trace evidence. The detailed analysis of soil samples can be used to determine the likely geographical location a soil sample come from – predictive geolocation. Soil mineralogy is linked to the underlying bedrock geology. 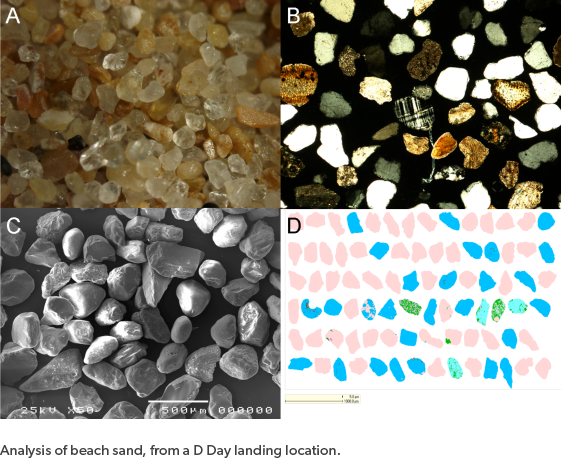 The texture of the overall soil and the characteristics of the individual particles relate to the processes operating in the near surface environment. Plant and animal components in soils allow the ecological assemblages to be identified and their biogeographical ranges to be determined. Man made particles indicate the abundance and types of human activity in the surrounding area. 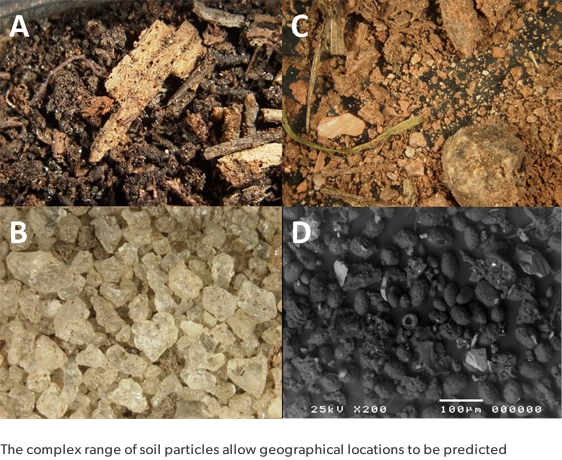 If all of these layers of information are combined it is possible to describe the type of environmental profile a soil represents and predict its likely geographical origin. This type of detailed analysis can be important in a wide range of major investigations.